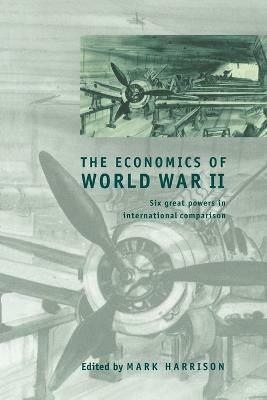 This book provides a new quantitative view of the wartime economic experiences of six great powers; the UK, the USA, Germany, Italy, Japan and the USSR. What contribution did economics made to war preparedness and to winning or losing the war? What was the effect of wartime experiences on postwar fortunes, and did those who won the war lose the peace? A chapter is devoted to each country, reviewing its economic war potential, military-economic policies and performance, war expenditures and development, while the introductory chapter presents a comparative overview. The result of an international collaborative project, the volume aims to provide a text of statistical reference for students and researchers interested in international and comparative economic history, the history of World War II, the history of economic policy, and comparative economic systems. It embodies the latest in economic analysis and historical research. Foreword; Acknowledgements; List of contributors; List of abbreviations; 1. The economics of World War II: an overview Mark Harrison; 2. The United Kingdom: 'Victory at all costs' Stephen Broadberry and Peter Howlett; 3. The United States: from ploughshares to swords Hugh Rockoff; 4. Germany: guns, butter and economic miracles Werner Abelshauser; 5. Italy: how to lose the war and win the peace Vera Zamagni; 6. Japan: guns before rice Akira Hara; 7. The Soviet Union: the defeated victor Mark Harrison; Bibliography; Index. Mark Harrison writes about the history and economics of Russia, conflict, defence and security. He is a Professor of Economics at the University of Warwick. He is also a research fellow of the Centre for Russian and East European Studies at the University of Birmingham and of the Hoover Institution on War, Revolution and Peace at Stanford University.